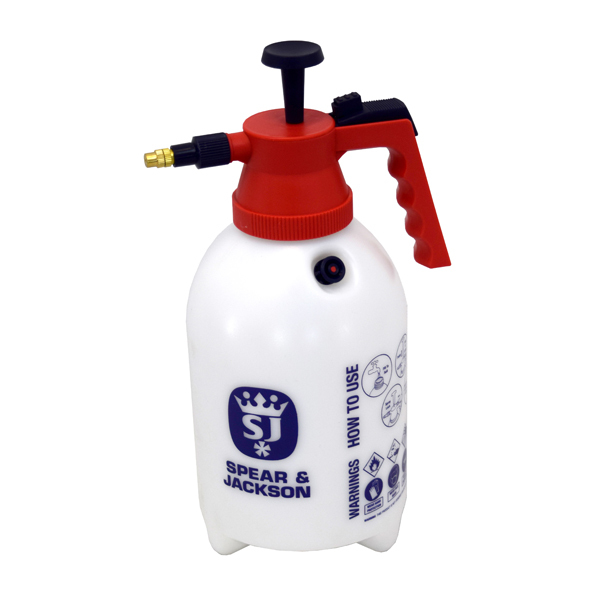 This 2L pump action sprayer with pressure release valve is ideal for use with water & non viscous water based or soluble products. Translucent and featuring measurements in litres and gallons for ease when filling and mixing, this frost-proof bottle features an adjustable brass nozzle with spray and mist options and a lockable trigger mechanism. It can be used with pesticides, herbicides, insecticides, fungicides and fertilisers. Over the years, Spear & Jackson’s products have become widely recognised for their heritage and high quality. The organisation has come a long way since 1760, and the Spear & Jackson Group now manufactures and distributes garden tools, metrology equipment, woodworking tools and magnetic equipment under several brand names: Neill Tools, Bowers, Robert Sorby, Moore and Wright, Eclipse, WHS and Tyzack. With divisions across England, France and Australia, Spear & Jackson distributes products throughout the world.